There's a real international vibe when you walk through the doors of the Quality Airport Hotel Dan. The hotel is conveniently located near Copenhagen Airport and there is a complimentary shuttle service between the airport and the hotel. 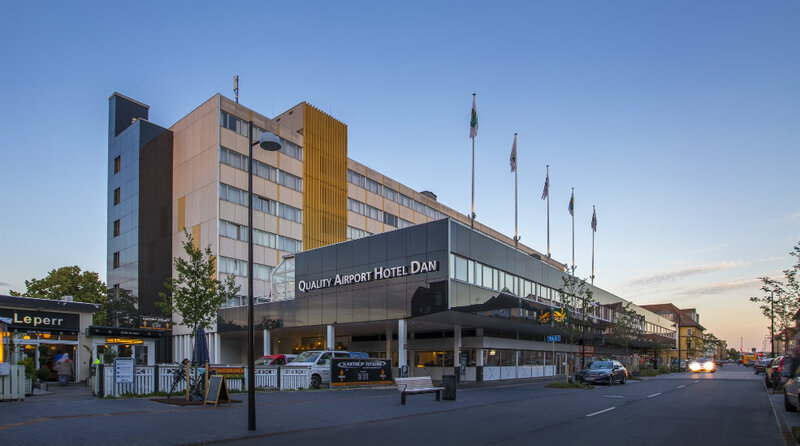 When you stay at the Quality Airport Hotel Dan, you're not just within easy reach of Copenhagen Airport! There are also a number of popular attractions nearby including the Amager Beach Park with Northern Europe's largest Aquarium "The Blue Planet", as well as southern Sweden and Copenhagen city centre. With a metro station right next to the hotel and the E20 motorway close by, Copenhagen's vibrant city centre and everything it has to offer is just minutes away. Read more about the capital of Denmark here. We are one of the few hotels in Copenhagen to offer a complimentary shuttle service to and from Copenhagen Airport. The bus departs Monday-Sunday between 6am-9.45am and 6pm-9.45pm. Find out more about our shuttle service here. Our Brasserie X restaurant serves delicious, simple dishes made using the very best seasonal produce. If you fancy a nice drink, we recommend our comfy and stylish bar. You're also more than welcome to visit even if you aren't staying with us! Whether you're looking for a convenient single room, a festive suite or something for the whole family, we have a room for you. More information about our room types. A warm welcome to the Quality Airport Hotel Dan! Take the M2 line to Kastrup station. alternatively take the 5C (bus going to Husum) as far as Kastruplundgade. Alternatively take the 2A (bus going to Copenhagen Airport) as far as Kastrup station.